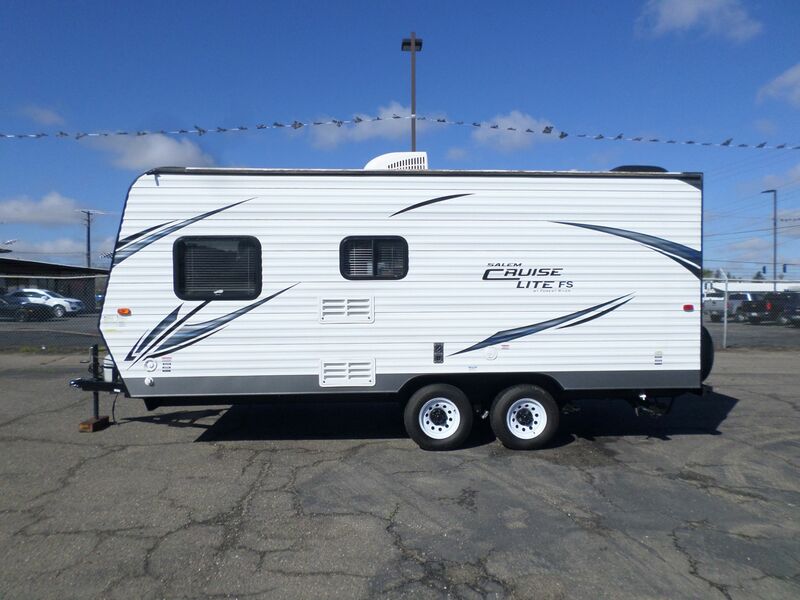 2015 Salem Cruise Lite Travel Trailer 18' . . . Fully self-contained, Sleeps 7, A/C, Awning, Cruise Lite FS model weighs 3600 lbs empty V-6 1/2 ton truck towable, Always covered. Private bathroom with shower and mini tub. Call for details.